The Harman Kardon Onyx Studio 5’s advanced and distinctive design is expressed through its signature round silhouette, premium fabric cover of the speaker enclosure and an integrated aluminium handle for easy portability. 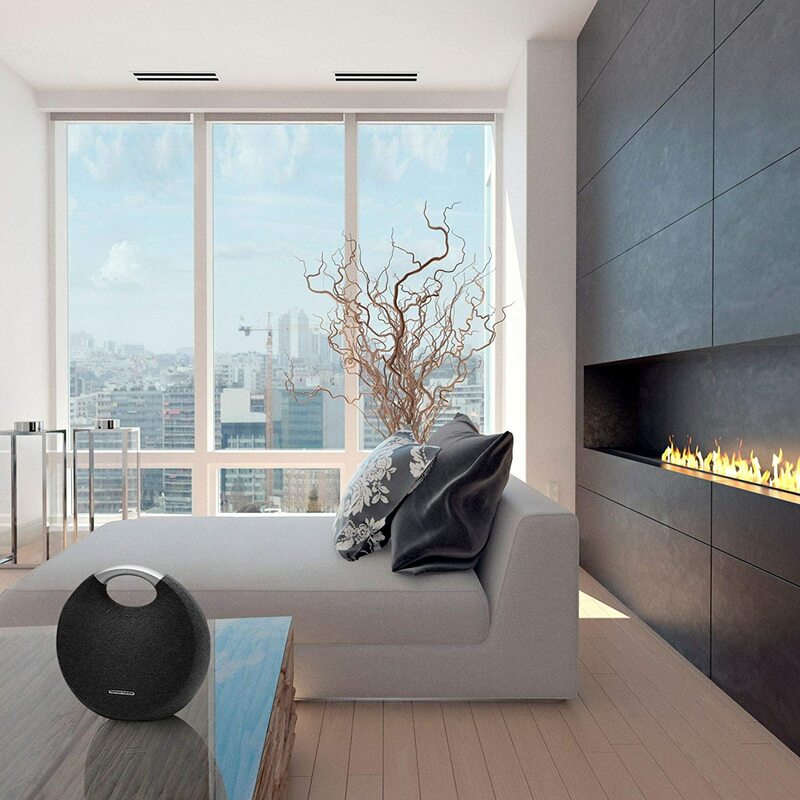 Destined to be the best sounding, full featured portable Bluetooth speaker in its class, the Onyx Studio 5 offers 8 hours of playtime as well as wireless dual sound, which wirelessly connect two Harman Kardon Onyx Studio 5 speakers to elevate music listening experience. Commanding attention at every angle, the Onyx Studio 5 is an iconic design piece in any home. Round silhouette and premium fabric cover deliver an elegant look and feel & Integrated aluminium carrying handle makes it easy to take the speaker anywhere.